Aloha! We just got back from Jon and Maria’s wedding in Kauai. 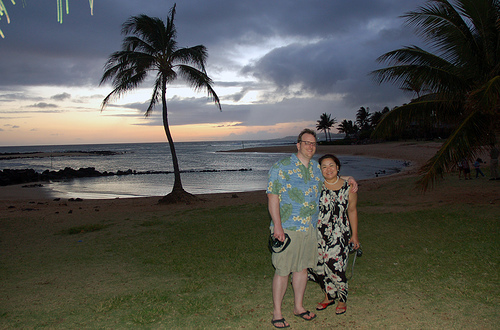 Jim’s pictures from Kauai and Oahu are up. I managed to get mine uploaded. And Angel got his Kauai pics up and blogged about it, too. We’re still wading through the gazillion wedding pictures and will be uploading those shortly. Thank you for your patience.